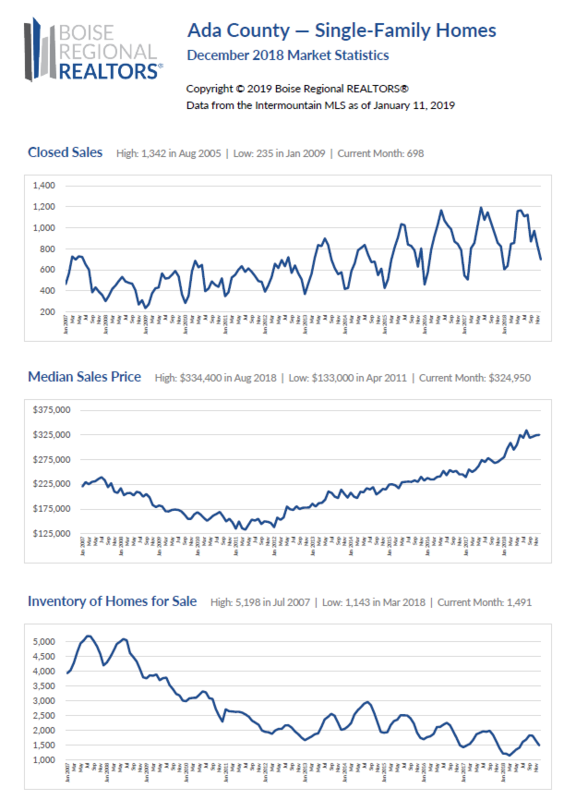 Ada County Saw Record High Home Prices in 2018 - But Why? According to our friends over at Boise Regional Realtors, Ada County's overall median sales price ended the year at $314,000 year-to-date (January 1, 2018 - December 31, 2018). This price hike was driven by more newly constructed homes selling at overall higher prices, which was primarily due to rising construction costs and the persistently low inventory of existing/resale homes. While newly constructed home sales increased by a whopping 22.4% (compared to 2017), the number of home sales for existing/resale homes decreased by 4.1%. 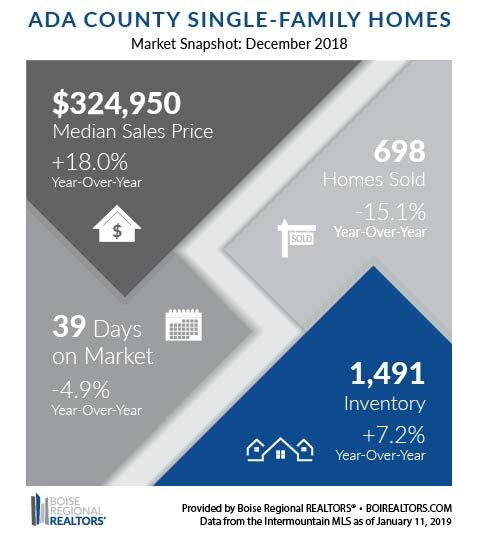 Summary: Compared to the same month one year ago (December 2017), the median sales price for existing, single-family homes in Ada County increased by 18%, while total days on the market decreased by nearly 5%. Meanwhile, total inventory is surprisingly up from one year ago (by 7.2%, but remains (as a whole) low), and homes between $160k - $299k are selling within two weeks! And for newly constructed homes, compared to one year ago, the median sales price has increased to an incredible $399,970 (an increase of 11.3%), while total inventory has increased by 16.3%. To subscribe to receive our full, no-obligation newsletter, please click here.